Mercedes is expected to take the accolade of best-selling luxury car brand for 2016, taking the title from fellow German rival BMW. The popularity of Mercedes' C-Class and E-Class vehicles has ensured the marque has outsold BMW in all three quarters of the year so far, placing it in a strong position to take the top spot in 2016. Overall, so far this year, BMW has sold 1.48 million cars, compared with Mercedes' 1.54 million. Mercedes dealers will welcome the news that the brand is outperforming its closest rival in the luxury car market this year. Dealers may be tempted to increase stock or expand their dealerships in response to the strong market conditions and may be right to do so. However, keeping traders combined insurance up to date to include any new offerings is vital. Both brands are releasing exciting new cars and added technology to try to stay on top of the best-sellers list. BMW is equipping its BMW-5 series with Evasion Aid, which will automatically change lanes for the driver if the car ahead brakes suddenly. Meanwhile, Mercedes' new 2017 E-Class cars are kitted out with a range of semi-autonomous features, such as Drive Pilot and Distant Pilot Distronic technology which allows cars to follow the speed of the car in front automatically. 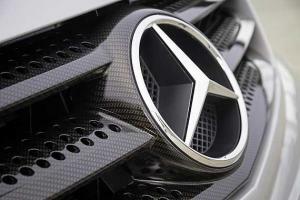 Mercedes has also developed a hydrogen-electric car that is fully autonomous and could be developed for sale by 2030. This ongoing investment in research and development is what puts these two brands at the forefront of the luxury car market – a position they are likely to retain for a long time to come.